New at Dress Code: Spayground Backpacks | DressCodeClothing.com's Official Blog. Back to School shopping is now in full effect which couldn’t be a better time and excuse to grab yourself a new backpack for the new school year. Not to mention, the new Sprayground backpacks and bags just hit our webstore in perfect timing for back to school shopping. You can check out the entire collection using the link above but I figured I would show a few my own personal picks from the new collection. Check ‘em out. This Varsity Shark Backpack features a chenille shark face similar to that logo material on your letterman jacket with somewhat of a militant look like a B-52 Bomber plane. Features a large zipped inner pocket as well as a sleeve for that new laptop you just got for school. Keep it classy (no pun intended) on your first day back to school with Sprayground’s Cut & Sew backpack. Features a black “croc” print with gold zipper/zipper track and outer zip pocket. 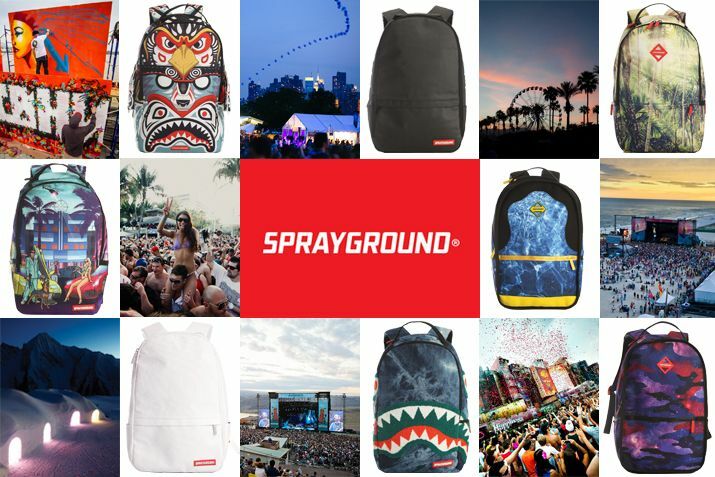 Check out the rest of the new Sprayground collection here, and let us know which piece you’re picking up for school or travel in the comments below.